Studio Wayne McGregor has developed a new offer for dance and choreography students studying at higher education institutions to experience Wayne McGregor’s unique creative methods and movement style. Building on past projects and extensive experience of working with vocational schools and universities there are a range of interventions on offer and projects can be tailor-made to suit curriculum and performance requirements. All work is delivered by current or past company dancers to ensure the process truly reflects McGregor’s creative practice. Company members can deliver a range of workshops focussing on creative tasks, repertoire, Mind and Movement or a combination. Workshops are tailored to students’ or curriculum requirements and can run from two to six hours. Company dancers deliver a half-day practical experience with feedback that reflects the content and fast pace of a company audition. Studio Wayne McGregor artists will work with students using Wayne McGregor’s unique creative methods to generate movement material that can be structured into a piece for performance at assessments, showcases, graduations etc. Each team of two company dancers can work with up to twenty-five students. A minimum of twenty hours is required to create a seven to ten minute piece. Excerpts of past company worksare available for licensing by educational institutions and youth companies. 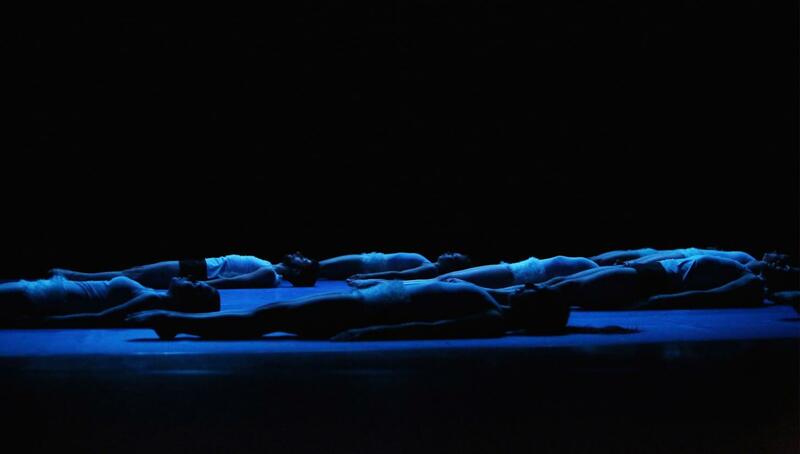 This is an opportunity for students to work with company dancers (past and current) to experience the unique choreographic language of Wayne McGregor. Excerpts of between ten and twenty minutes can be licensed for up to ten dancers (works can be double cast). The usual rehearsal period will be no less than fifty hours or ten days to restage an excerpt of ten to fifteen minutes with additional days for technical and dress rehearsals and presence at the premiere. Company dancers can also deliver technique classes during their stay and can be involved in assessment of the students throughout the process. Wayne McGregor waives choreographic rights to his pieces for learning and performance by students. Rights will be charged for lighting design, costume design and music. The designers will provide briefs for costume and lighting design, adapted from the original to be executed by the host organisations wardrobe and technical teams. Company dancers will work with students for three to five days exploring the company choreographic resource Mind and Movement. The residency will explore the content of the resource through practical work and discussion and will use McGregor’s works as a reference. After the course students will be left with a range of creative tools that they can utilise in their future choreographic practice. Residency focus and structure can be tailor-made to align with students’ needs and interests and can be targeted at under and post graduates. In January 2014 the whole company worked with one hundred dance students from UNCSA over one week to create a thirty-minute piece that was performed as part of the University’s Winter Dance Program at The Stevens Center for the Performing Arts in Winston Salem. Students were split into four groups who each worked with two or three company members to create a short seven-minute new piece. The company members then brought all the groups together to create a cohesive work with all 100 students performing. The company staged the piece, working with the university’s technical and costume teams to create designs for costume and lighting. In October 2013 Jasmine Wilson, Director of Learning and Engagement, delivered a six day module to students at the university as part of their movement analysis course. The students were drawn from across art forms including dance and music. A programme was formulated that delivered the Mind and Movement content in a practical way with room for exploring its application individuals’ creative practice. For two years the company has worked with second year dance students at Trinity Laban on the Historical Projects module. Company dancers have staged excerpts from Entity and Polar Sequences that were performed in the Bonnie Bird Theatre. 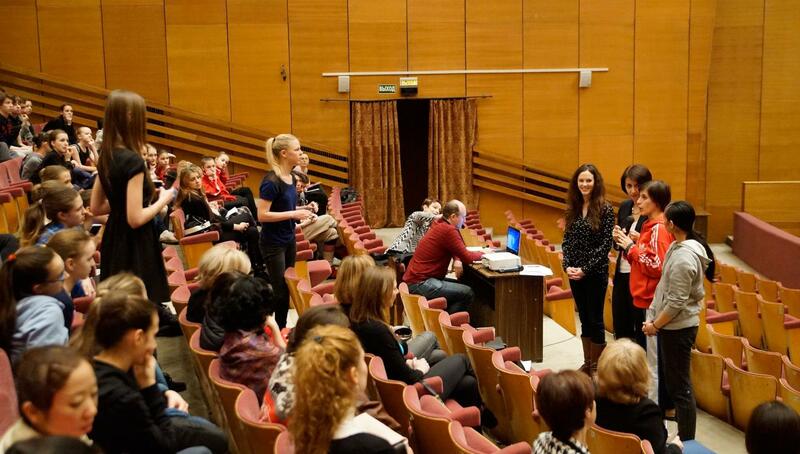 The company dancers also assessed the students and gave tutorials following the rehearsal and performance period. For more details or to discuss please contact Jasmine Wilson. Images 1-3, Polar Sequences, jk-photography and Trinity Laban Conservatoire of Music and Dance. Images 4-5, The Bolshoi Ballet Academy. 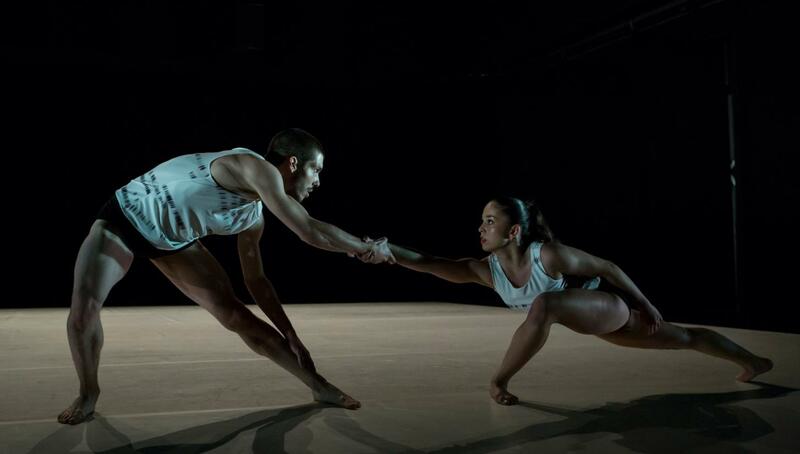 Images 6-7, Entity, Ballet Junior de Geneve, Gregory Bartardon.